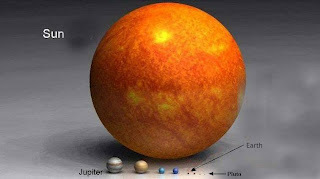 Today I received an email from a friend that features comparisons of the planets in our solar system with the various giant stars in the universe and it elicited my quest to find out what the largest star is known to human as of now. 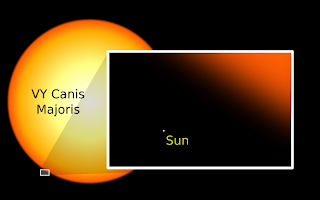 After some googling, the answer is VY Canis Majoris, which has a radius that's around 2000 times the one of the sun, which in turn has a radius that's around 109 times the one of the earth. Jaw-dropping! Thanks for this wonderful clip! 渣估: Hehe you're welcome. I always "know" that the earth is small but not until it is put alongside with other stars in real scale do I realize how small it actually is!